Does anyone knows the name of this silversmith ? His marks are MK as you can see in the pic and he was probably working in Warsaw in the 1920's. I know very little regarding regarding Polish silversmiths, but Michał Kozłowski may be a name worth looking into. Offering it only as a possible route for further research. Could be the case but I read that Michał Kozłowski used to sign M.Kozlowski and that he worked until 1908. 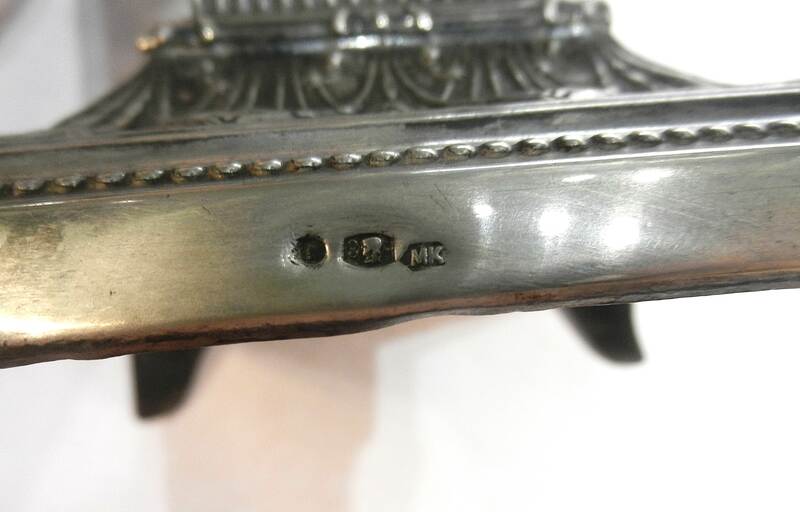 Here, the MK stamp is from the years 1920-1931. Is it something usual that a silversmith changes his marks ? Hopefully another member can tell us more.